It’s time again for Cuyahoga River stakeholders, watershed stewards, and anyone else who is interested in the health of the Cuyahoga to get together and learn what’s happening in the Area of Concern (AOC) at the 2018 Cuyahoga River AOC Symposium! The Symposium provides a forum for sharing ideas, reviewing Beneficial Use Impairment (BUI) status, showcasing successes and challenges, reviewing recent developments affecting the AOC program and strengthening linkages among state and local AOC participants. 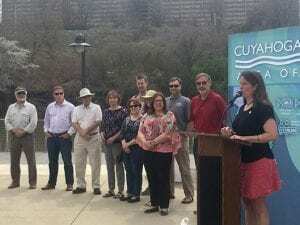 Not only will we talk about all the progress that has been made in the Cuyahoga River watershed, but we’ll also hear from a panel of experts on new developments and future projects. There is a lot to celebrate this year, especially given that the United States Environmental Protection Agency recently approved the removal of “Degradation of Aesthetics” and “Public Access and Recreation Impairments” from the list of Beneficial Use Impairments (BUIs) in the Cuyahoga River Area of Concern (AOC). 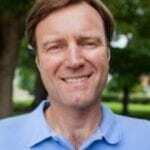 This suggests that aesthetics have improved dramatically in the decades since the Cuyahoga was named one of the 27 federally-designated U.S. waterways that have experienced severe environmental degradation. Public access and recreation have been helped by the development of trails, rowing clubs, fishing areas, boating and paddle sport amenities, and dining and entertainment facilities that now line the river banks. Symposium attendees will have an opportunity to discuss all of the work being done to restore the river, to connect with a wide variety of partners and interested stakeholders, and to contribute to the progress being made. The Symposium will take place on Friday, October 26 from 8:30 a.m. – 4 p.m. at the Cuyahoga Falls Natatorium. Registration is $35 per person and includes coffee, breakfast snacks and lunch, table talks, panels, and a whole lot of updates on how we’re getting closer every day to delisting the entire Cuyahoga River AOC. 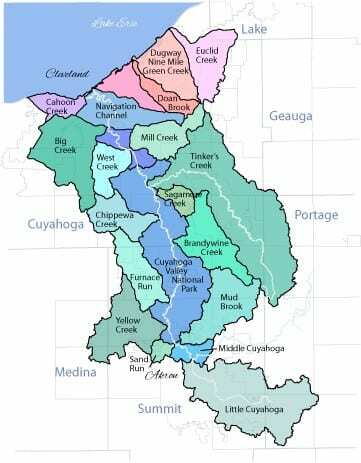 For additional information, please visit the website for the AOC’s facilitating organization, Cuyahoga River Restoration and the Cuyahoga River Area of Concern Advisory Committee. The Advisory Committee is made up of representatives from Ohio Sea Grant and other organizations including nonprofit community groups, businesses, government agencies, and local residents concerned with the health of the watershed.